Very unique and fun!! The tray is stained and polyurethane coated, decorated with a picture of the pictured rocks, sand, small rocks and then resin finished. It is food safe and can be hand washed. 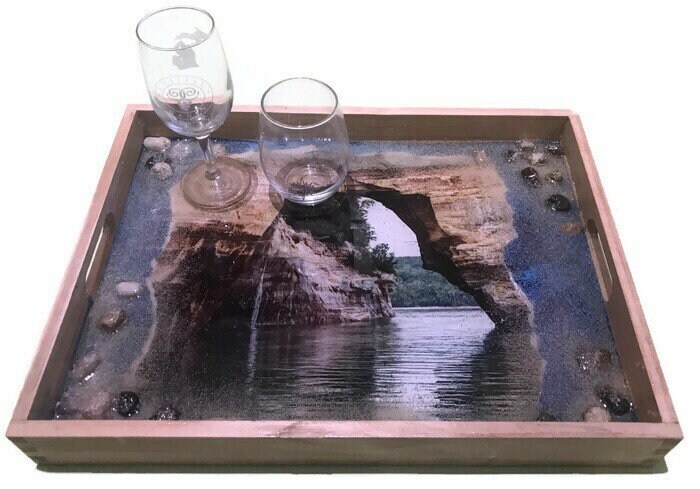 It would be perfect for your Michigan themed home or a gift! The tray is 16 x 12.